In stock -This product will ship today if ordered within the next 14 hours and 14 minutes. Recent studies have demonstrated that male infertility is on the increase. There are several possible explanations for this including environmental factors such as pollution, exposure to xenooestrogenic compounds, cigarette smoking, drugs and above all, poor nutrition. Studies show that certain nutrients are important to male fertility. ASC Plus is a combination of specific nutrients to support sperm health and production. L-Arginine, Modified Tapioca Starch, Capsule (hypromellose & Water), Vitamin E ( as D-Alpha Tocopherol Acetate*), L-Carnitine-L-Tartrate, L-Taurine, Sunflower Oil, Zinc Citrate, Anti-caking Agents (Vegetable Magnesium Stearate & Silicon Dioxide), Sodium Selenite. Take 2 vegicaps daily with food, or as professionally directed. L-Arginine is not recommended for growing adolescents and is contra-indicated in Herpes simplex and for anyone with a history of schizophrenia. 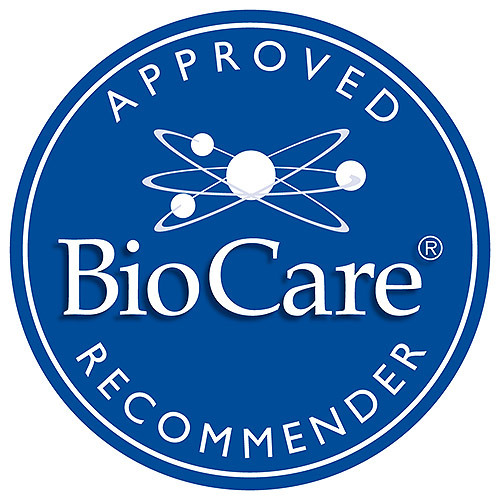 Below are reviews of ASC Plus - For Men - 90 Vegicaps by bodykind customers. If you have tried this product we'd love to hear what you think so please leave a review. Recent studies have demonstrated that male infertility is on the increase. Studies show that certain nutrients are important to male fertility. 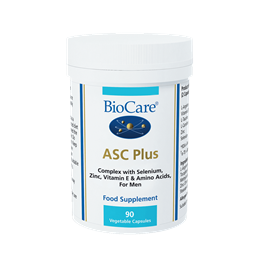 ASC Plus is a combination of specific nutrients to support sperm health and production.